You’ve landed the interview! Excitement abounds and you prep and prepare for days in advance, making sure you have answers to all their tricky questions (you know, like “When was the last time you experienced conflict in the workplace and how did you handle it?”). You leave the interview feeling on top of the world and have a very strong feeling you got the job. But then you wait, and you wait, and you wait. Here, we’re looking at ways you should (and shouldn’t!) follow up from a job interview…. Following up from a job interview is sometimes necessary, but there’s a fine line between being polite and sounding pushy. You want the hiring manager to remember you, but you also don’t want to risk your chances of getting eliminated for being too aggressive. The article “How to follow up after a job interview” states there are five proper ways to go about following up. Thank them within two days – You should thank them as soon as you leave the interview, but it’s also not a bad idea to deliver a handwritten thank you note within a day or two of interviewing. This shows you took the interview seriously and that you really want the job, plus it gets you back in the mind of the person in charge of hiring. Follow up within two weeks – If you haven’t heard back within a week or two, it’s OK to send an email asking if there’s anything else they need from you in the meantime. 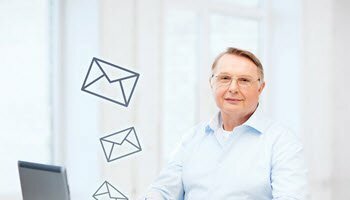 Only send two email maximum, and if you don’t get a response, it’s time to move on. Follow up with one person – There is no need to follow up with every person you spoke to on the day of your interview. Instead, pick one person (the hiring manager) and follow up with them so you don’t come off as pushy. Reach out via one medium – Stick to contacting the hiring manager either via email or phone, but not both. If they contact you, respond in the same way they reached you. Choose your words wisely – Maintain a positive tone, don’t ask too many questions and keep the conversation short and friendly. It’s never a good idea to call or email excessively. The hiring manager will most likely feel you’re pressuring them to make a decision and that alone will most likely eliminate you from the candidate pool. Never get angry or raise your voice at the person you are speaking with. Even if the company takes one month to hire people, which seems like a long time to some that is up to them and is not a decision for you to make. Remain patient, be calm and continue pursuing other job opportunities while you wait to hear back from this one. There is no doubt finding a good job can be challenging at times; handling the interview process the correct way can oftentimes make all the difference. About the Author: Sarah Brooks is a freelance writer living in Charlotte, NC. She writes on a variety of topics including small businesses, careers and personal finance. Next postAre Your Employees Fit for Work?